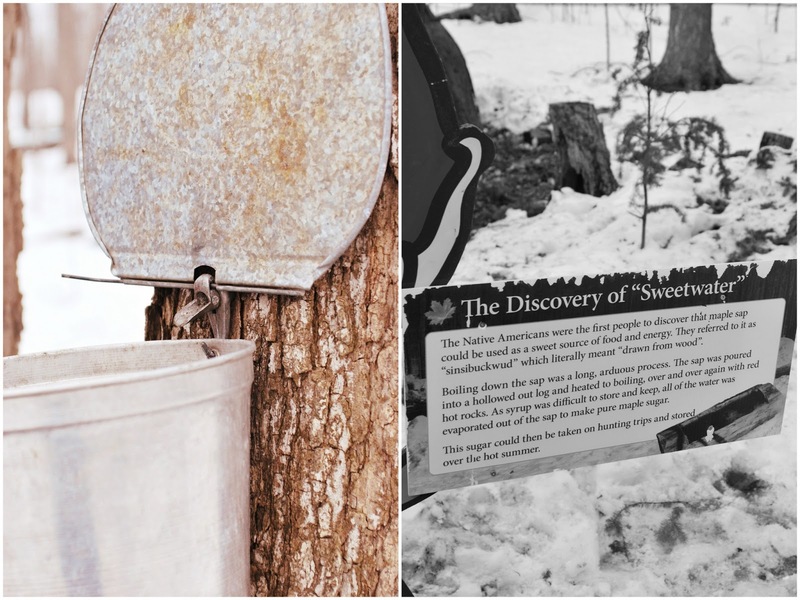 Between the last freezing days of winter and the first warm days of spring, when the days get longer, the nights stay cold and the day temperature reaches a mild 5°C, sugar makers drill a small hole into the sugar-maple tree, place a tap onto the tree, hang a bucket on the tap so that the maple sap from the tree would drip into the bucket and wait for collection. The sap is basically the blood of the maple tree as it stocks sugar and nutrients for the tree to grow. 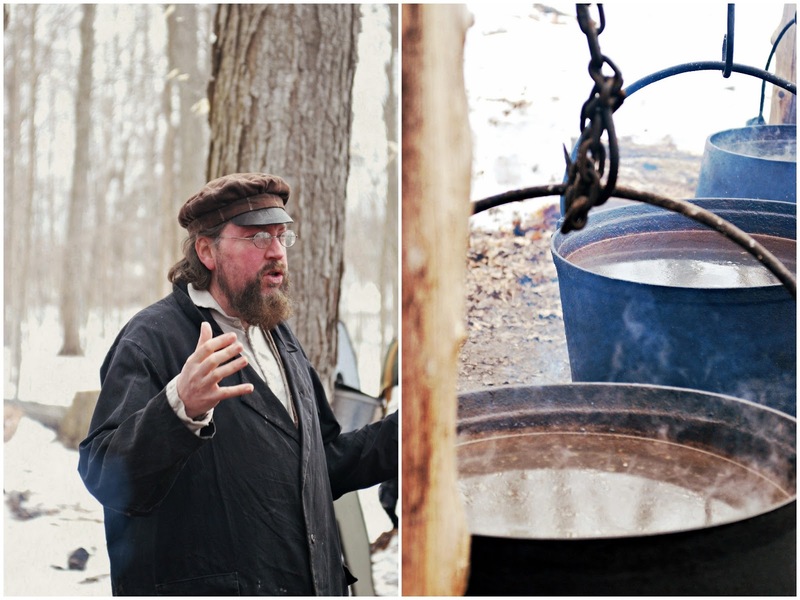 Once the sap is collected, it is then boiled to evaporate water and become a syrup. The syrup is filtered, bottled and it is finally ready to be used over pancakes, French toast, popcorn, ice cream, in muffin recipes and salad dressings, or for execution of sophisticated culinary. 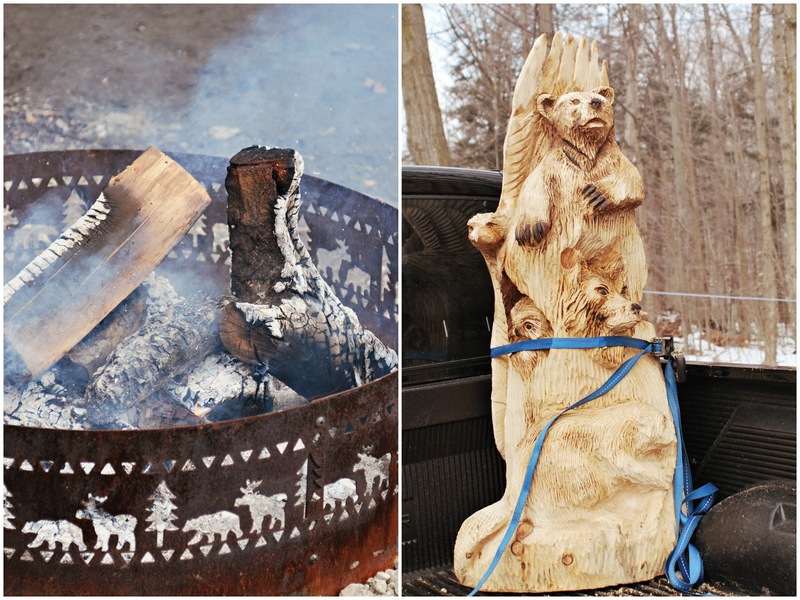 In fact, long before the Europeans arrived in North America, the Native people have been practicing the art of making this natural product referring to it as "drawn from the wood". 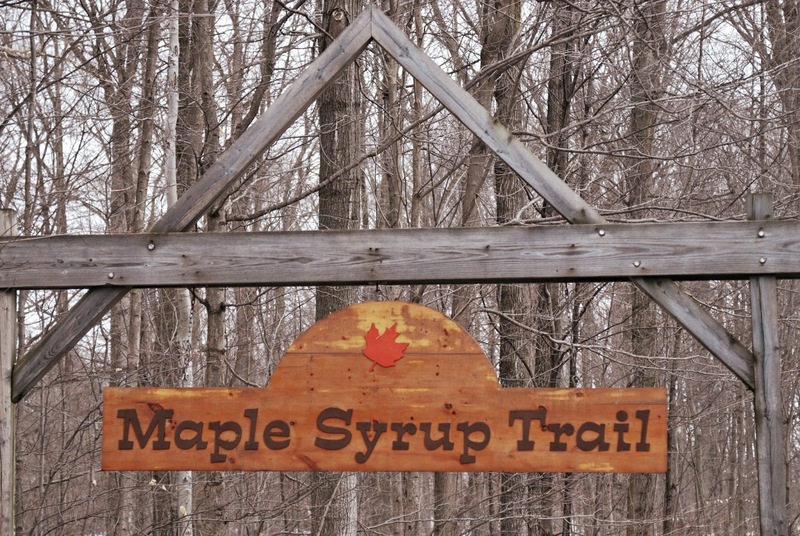 Since, I believe, there is nothing more Canadian than maple syrup (or, perhaps, hockey, according to my son), each year small towns, villages and conservation areas across Ontario host annual Sugarbush Maple Syrup Festivals. Last week we took part in one of these truly special events, where we started off the morning the only possible way – by overindulging ourselves on the biggest warm delicious pancakes. 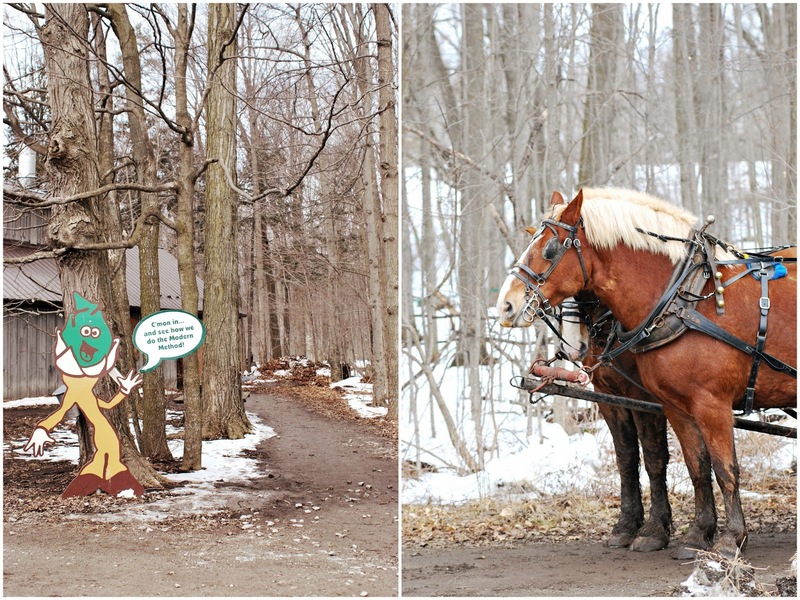 Next, we took the horse-drawn wagon ride, walked through the woods to experience again the entire maple syrup process, enjoyed the wood carving, hugged the little goats, bought the purest maple syrup from the Sugar Shack, met the friendliest people in the area and headed back to the pancake house for more pancakes with more maple syrup. In other words, we simply did celebrate the first harvest of spring, the simple pleasures of the shortest season of "maple moon" which always comes as a sweet testimony of the arrival of the most promising time period of the year. 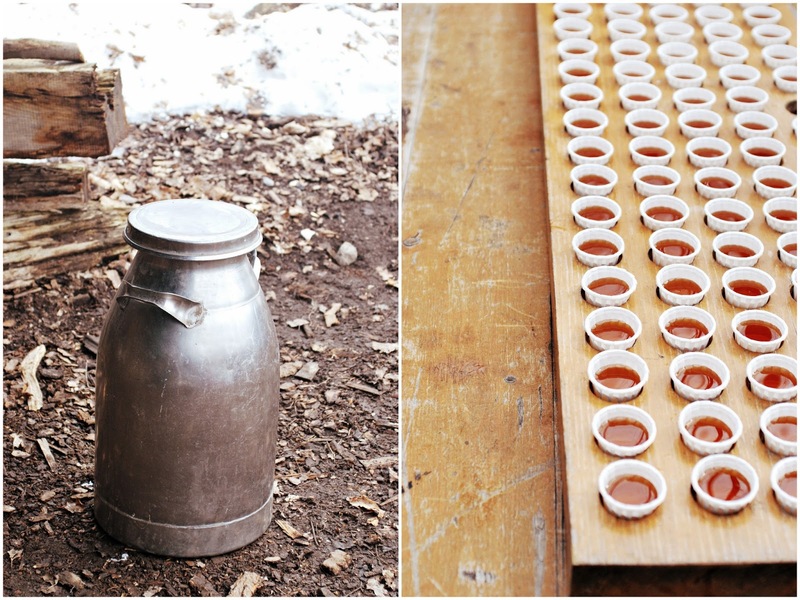 Pure Maple Syrup is one of life's simple pleasures and one of Nature's wonders. Moreover, the health benefits of real syrup are far more abundant that one might expect. Coming directly from a plant's sap, this natural sweetener features numbers of natural antioxidants, vitamins, and minerals. However, in order to get real maple syrup, we have to be conscious and thoroughly check the labels when we buy it from grocery stores. 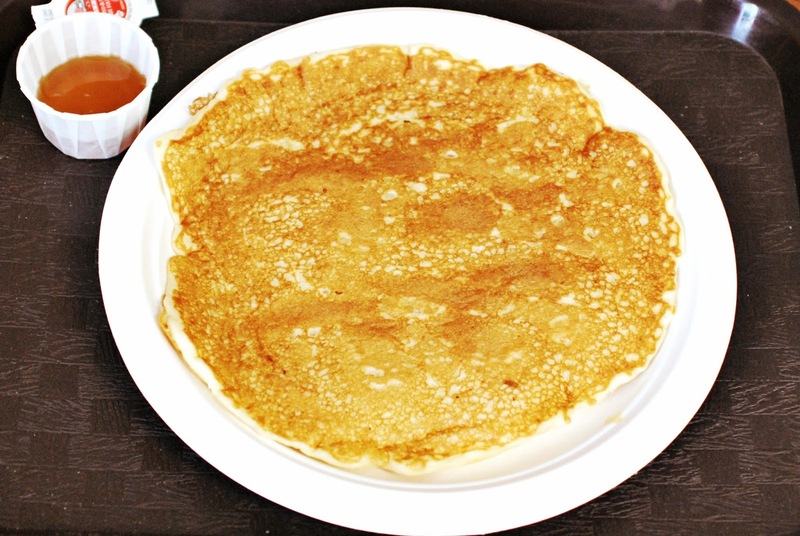 Statistics show that very often leading pancake syrups contain zero pure maple syrup and rely on high fructose corn syrup and additives, such as artificial flavorings and coloring agents. Sometimes imitation syrups list maple syrup as an ingredient when it only contains as little as 5%. Double-check the bottle to make sure you are getting pure maple syrup to enjoy all the simple pleasure this all-natural energy booster provides. Hope your days are happy! Good morning my beautiful friend! 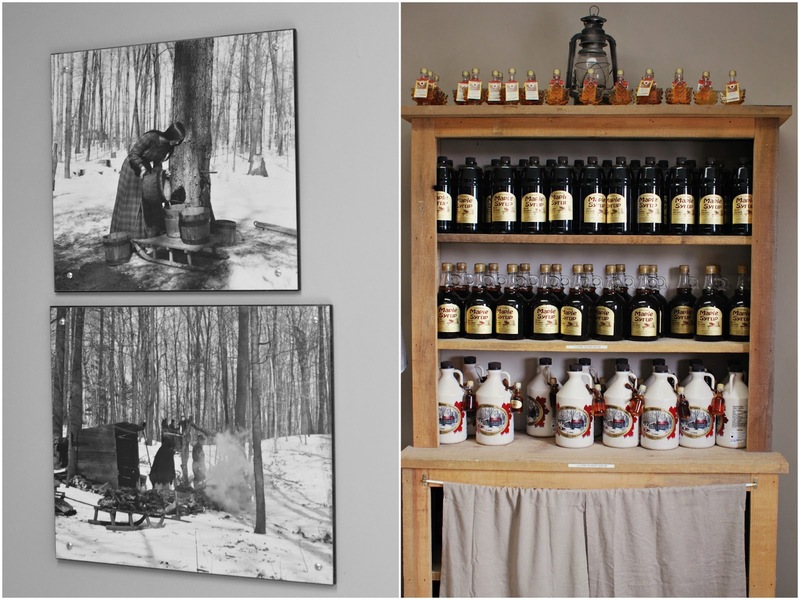 Nothing does speak more CANADIAN culinary culture than maple syrup! 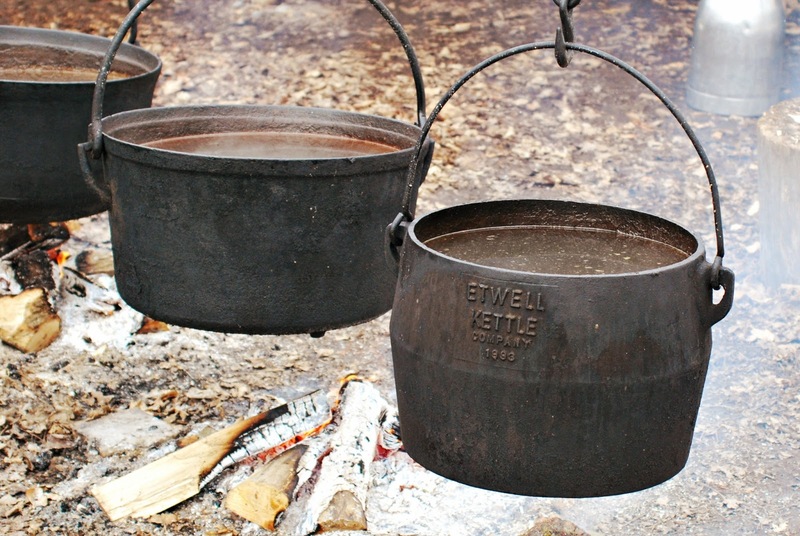 When I lived in Massachusetts, Vermont maple syrup was the best, ever. It makes for a delicious "Indian Pudding", a lovely dish served up at Thanksgiving and that requires about eight hours of baking. Maple syrup and molasses makes the flavors so distinct. I suppose your weather is still on the chilly side, like chez nous. But we will soon be getting a glimpse of the daffodils and hyacinth that will soon poke through the snow. What a wonderful post! I love the pictures as they really show the process. I'd never had maple syrup until I arrived in the US! Now I'm practically addicted! Ι've just discover your great blog!I'm your newest follower! 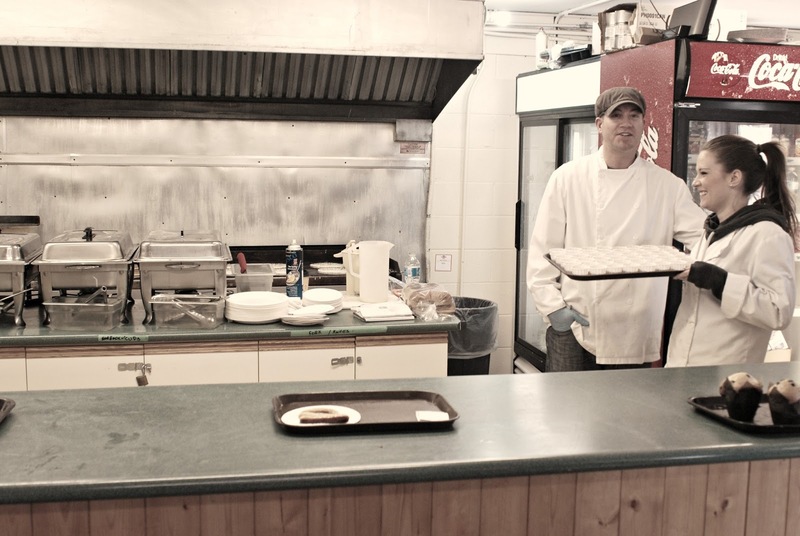 I bet that fresh maple syrup fresh from the tree is unbelievable! I never knew there was a season for it. Your photos are stunning, I felt like I was there. Wonderful post! Oh, I have not had breakfast this morning - that pancake with maple syrup sounds divine!! I love all of photos - thank you for sharing this wonderful tradition with us. We definitely do not have this in Georgia!! Nothing like the real thing! 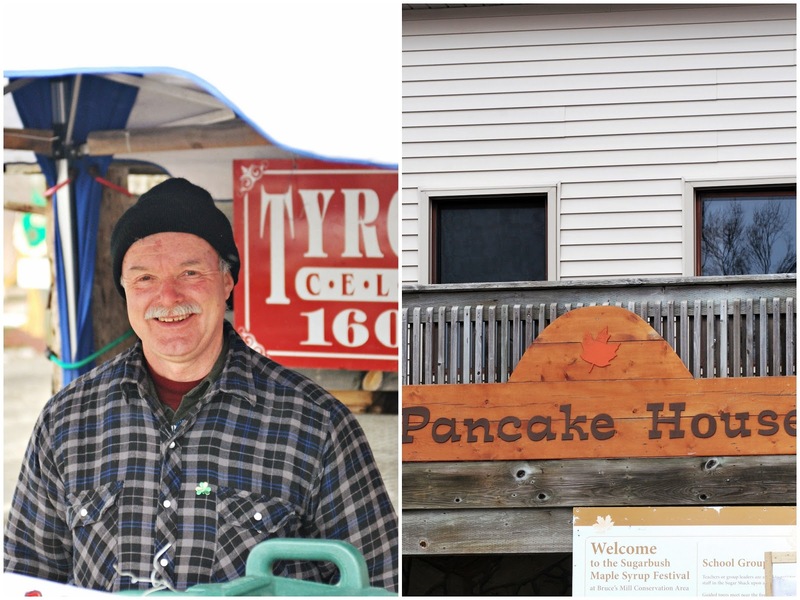 We have a couple of vendors that sell maple syrup at our farmers' market in the summer and I stock up to last over winter. I liked the dinner plate sized pancake, yummy. Hi, Thank you for sharing all about maple syrup. Oh, I love maple syrup. I so enjoyed looking at your beautiful pictures and reading about this simple pleasure. I also want to let you know that I will be sharing you and your wonderful blog on my 3rd Girl Time tomorrow (Tuesday). I will be introducing you to my friends. Sure hope you will stop by tomorrow and check it out. 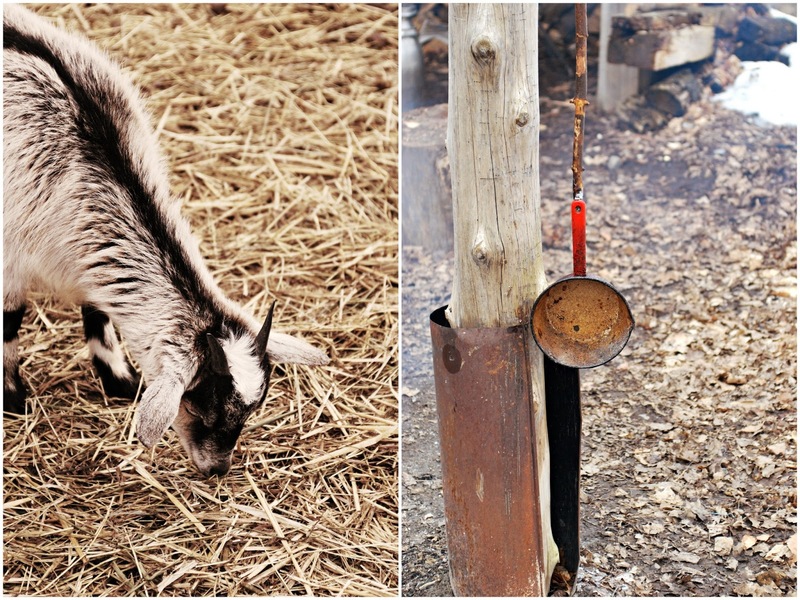 Love your post and maple syrup which is so much better fresh made than from the grocery shelf. I love this post, and it makes me want to travel to your neck of the woods to see all this for myself. I grew up in Maple Syrup country, but I have lived a thousand miles away from it for my entire adult life. You are so right about the *blech* they sell in stores and try to pass off as maple syrup. I also loved your post below. It is actually the "draw" for me because you were shouted out on both "At the Picket Fence" and Amy's Girl Talk on "All Things Home". So very glad I clicked and came. I would love to follow you. I also learned that Grade B is the one to go for, it is less processed, but I have yet to try it.. 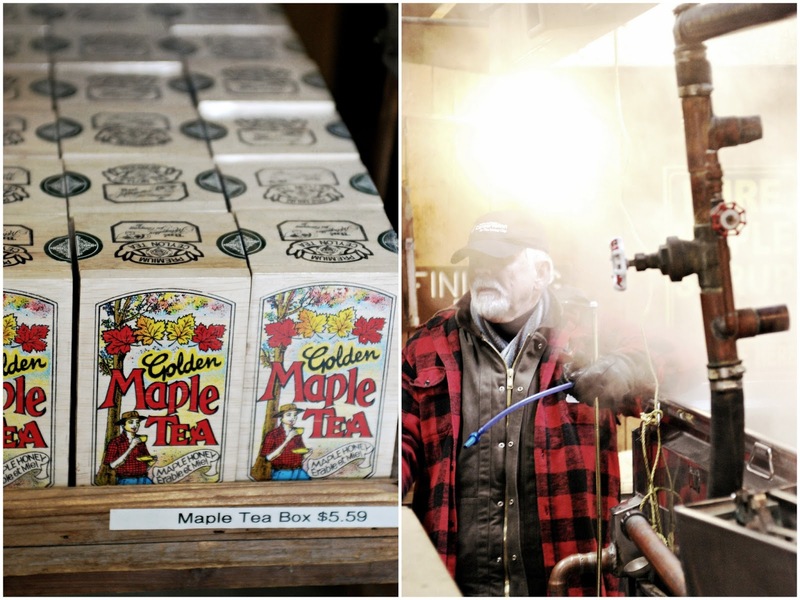 Maple sugar is so yummy, and I have never heard of maple tea...I'll need to seek that out! Maple Sirup is one of my favorites. I bought some bottles during our summer trip through Ontario. Toronto is one of our beloved cities.